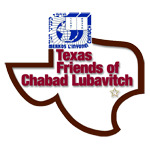 Community Bulletin - Chabad Lubavitch Center - Texas Regional Hdqrtrs. May we continue to share collectively in happy occasions together. For simchos invitations, a minimum contribution of $54 to help defray IT and administrative costs is appreciated.